Recently, I wrote about the conduct of Justice Karnan that led to his conviction and sentence for contempt of court by the Supreme Court (read here). I also raised 10 questions surrounding the whole issue and in this piece, I will attempt to answer those. With the detailed judgment still awaited; as per news reports, Justice Karnan has approached the Supreme Court seeking recall of the judgment convicting him. He also refused to tender an unconditional apology and also approached the President and the Prime Minister. “Under what law was a bench of seven senior-most judges of the Supreme Court constituted to hear and decide contempt? Could the Supreme Court have stripped a judge from his judicial work? Whether a sitting high court judge appointed under the seal and signature of the President of India can be effectively deprived of his constitutional employment by whip of a court, instead of the following the impeachment procedure laid down in the Constitution? Should the Supreme Court have referred the matter to Parliament, instead of proceeding against Justice Karnan itself? Whether the Supreme Court ought to have dropped the proceedings till retirement of Justice Karnan next month? Whether the Supreme Court has administrative or disciplinary control over high courts or the judges of high courts? What is the exact relationship between a high court and a Supreme Court, both constitutional courts, but the former subject to appellate of the latter? Whether the contempt proceedings were valid? If they were, was the correct procedure followed? Whether banning media from publishing Justice Karnan’s statements amounts to prior judicial censorship and silence criticism of any kind? Now, let’s move on to the answers. Article 145 of the Constitution grants power to the Supreme Court to make rules to regulate its practice and procedure. Article 145(1) gives an exhaustive list of 10 instances for which rules can be drafted by the Supreme Court. Article 145(2) mandates that the rules so made may fix the minimum number of judges who are to sit for ‘any purpose’. Under Article 145, the Supreme Court Rules, 2013 (2013 Rules) and the Rules to regulate Proceedings for Contempt of the Supreme Court, 1975 (1975 Rules) were drafted. There are certain provisions under these rules which deserve special attention at this juncture. Rule 3(a) of the 1975 Rules permits suo motu contempt and Rule 16 states that the 2013 Rules are applicable to contempt proceedings. Order VI of the 2013 Rules deals with the constitution of division courts and the powers of a single judge. Rule 1 of Order VI states that every cause, appeal or matter shall be heard by a bench of not less than two judges nominated by the Chief Justice. 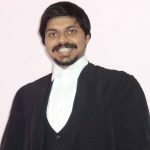 One does not find in both rules as to whether a 7-judge bench can be constituted to hear a contempt or what exactly should be the number of judges to hear a contempt proceeding, especially in the context when the CJI said during the hearings that Justice Karnan was and had to be treated as a normal citizen of India. There can be two reasons why a bench of 7 senior-most judges was constituted – Firstly, perhaps the CJI did not want to initiate contempt and then refer it to a larger bench, afterall, the charges were of a nature of ‘judge vs judiciary’. Secondly, Justice Karnan, being a sitting judge of the high court, perhaps it was thought that the top seven judges of the country must hear and decide the issue. Nevertheless, the Chief Justice of India is the master of the roster and has wide powers to constitute a bench. (For powers of the CJI, read here). Interestingly, while issuing notice to Justice Karnan, the 7-judge bench stripped him of his judicial and administrative work. So even before giving an opportunity to Justice Karnan to answer to the notice so issued to him, he was stripped off his judicial work as well as administrative work. No reason whatsoever was given for silencing the employment, that too of a sitting high court judge. This virtually and effectively ended Justice Karnan’s tenure as a judge, even without being heard. A judge of a high court is appointed by a Presidential Warrant under his hand and seal. Article 217(1)(a) of the Constitution states that a judge of the high court may be removed by the President as under Article 124(4). Article 124(4) mandates that a judge of the Supreme Court can only be removed by the President, that too on two grounds – proved misbehaviour or incapacity. Not only stripping a judge from a judge post without hearing him is erroneous, but is also wrong on principles of natural justice. There are two legislative enactments that attract attention here: the Judges (Protection) Act, 1985 and the Judges (Inquiry) Act, 1968. Section 3(1) of the 1985 Act gives a protection to judges that no court shall entertain or continue any civil or criminal proceeding against any person who is or who was a judge for any act, thing or word committed, done or spoken by him when, or in the course of, acting or purporting to act in the discharge of his official or judicial duty/function. Section 3(2) however effectively overrules this section and states that the Central government, state government, Supreme Court, high court or any other authority under the law in force can take civil/criminal/departmental action against a person who is or was a judge. So Section 3(2) permits the Supreme Court to take action against Justice Karnan. The suo motu contempt petition was registered as a civil case. However, Section 3(2) states that this action must be under a law for the time being in force. So one needs to look back to the 1975 Rules, 2013 Rules, Judges (Inquiry) Act, 1968 and the Contempt of Courts Act, 1971. The 1968 Act lays down the procedure to initiate inquiry into proved misbehaviour or incapacity of a judge. Section 16 of the 1971 Act states that a judge shall also be liable for contempt of his own court or of any other court in the same manner as any other individual is liable and provisions of the Act apply. Section 20 of the 1971 Act bars initiation of any action after the expiry of one year, so effectively, action can be taken against Justice Karnan for any act of contempt by him on or after 08.02.2016, and past conduct cannot be treated as contemptuous. In my view, the Supreme Court was not bound to refer to the Parliament a case of contempt. Under the laws, as discussed above, the Supreme Court on its own has to hear a case of its contempt. A contempt case cannot be transferred to the Parliament. Further, the Supreme Court in a contempt case cannot wait for a contingent event, be it retirement from the post held, to go easy or to leave an alleged contemnor. His conduct, as discussed in Part I of this series, is not only contemptuous, but Justice Karnan has also brought ill name to the institution as such by making counterblast irrelevant orders and staying unrepentant. So conclusively, the Supreme Court has powers to initiate contempt against a sitting high court judge ex parte. Stripping Justice Karnan of his judicial work at the stage of issuing notice was incorrect. The CJI, being the master of the roster, has the power to constitute a 7-judge bench. The proceedings were first of their kind, but no procedural flaw can be traced. The end result in conviction and sentence cannot be said to be incorrect in the eyes of law and the media gag order from publishing statements of the convict is also not incorrect till the final judgment comes so as to protect further injury to the judiciary’s image. Unlike the relationship between the Centre and States, which is quasi federal in nature, the relationship between the Supreme Court and high courts is not well defined as to supervisory control of one on another. I will not comment upon it today, but shall deal with it once the final judgment is delivered. Till then, fingers crossed! The Part I can be read here.